On the weekend of 9-10th September 2017 Felpham took over 30 boats over to Dell Quay for the West Sussex Schools & Youth Sailing Association regatta. With an increasing wind forecast over the weekend the sailors were eager to get on the water and race – they just had to wait for the tide to come in to the Dell Quay sailing area! Three races were held on Saturday across multiple fleets (Fast, Slow, Topper, Optimist) and Felpham had sailors battling in all of them. After a great days sailing on Saturday this turned out to be the last of the sailing for the regatta as the wind increased to gale force during Sunday and racing had to be cancelled. Once the results were calculated Felpham once again won the Team Prize – which is now nine years out of the past ten that we have won. We had winners in the Fast Handicap and Topper fleets and a well deserved second place in the Slow Fleet. 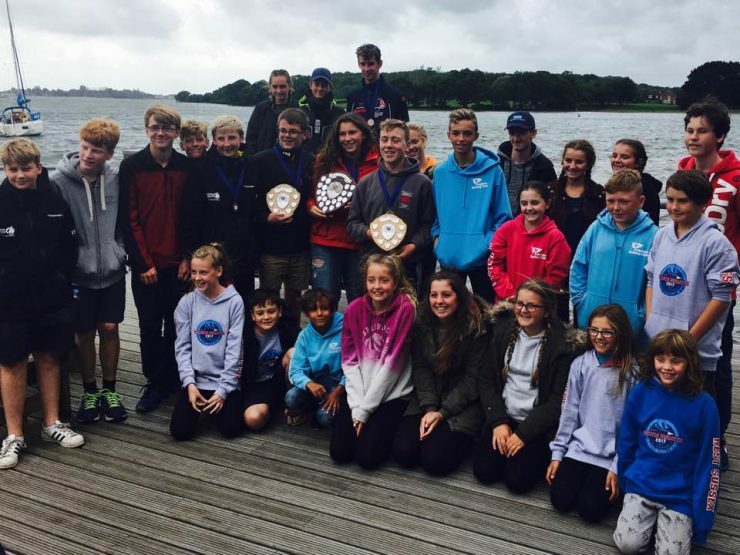 This all comes down to the cadets, their parents and the training team at FSC that are behind them and supporting them – whether it is their first year of sailing or whether they’re racing competitively in national and international regattas. Well done to all involved.